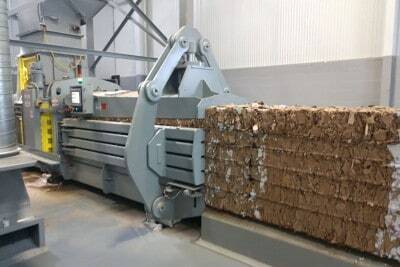 Maren Balers have long been regarded the standard of the box, printing, and process industries. The Maren ProPAK-A SERIES take that standard to an even higher level. These balers are built specifically for the difficult duty cycle required in corrugated box, folding carton, printing, converting, envelope and tissue industries. 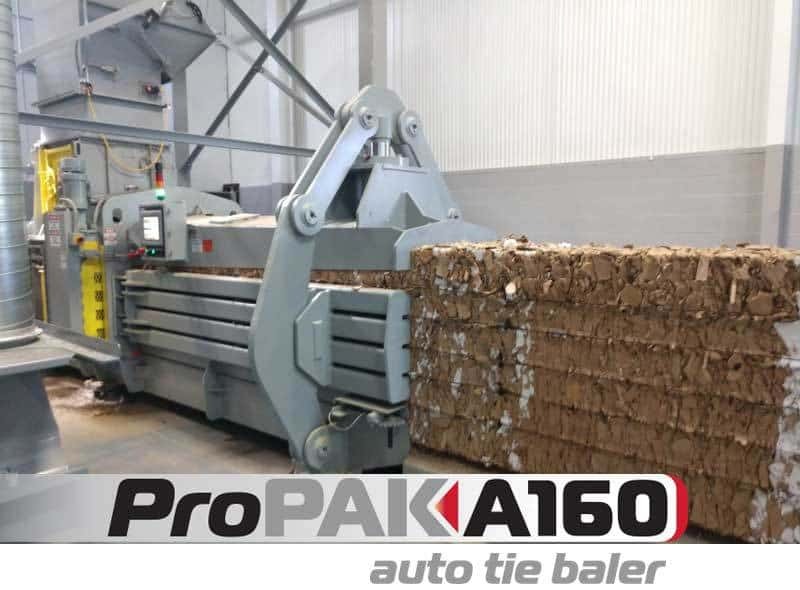 If you run a high volume operation and things like bale weight, up time, durability, safety, serviceability and cleanliness keep you up at night take a good look at the Maren ProPAK-A SERIES. 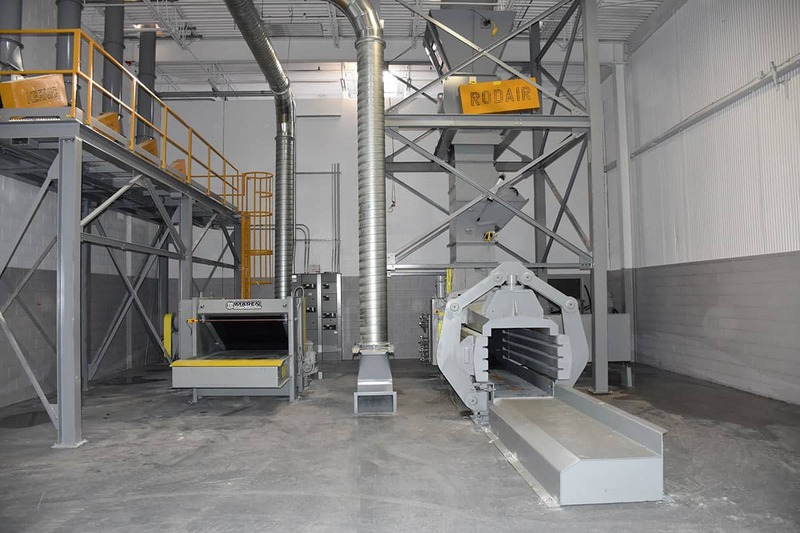 With multiple horsepower options and several hopper sizes to choose from these workhorse’s fulfill virtually any production requirements. “A” Frame single cylinder tension chamber takes advantage of maximum ram force during full pressure baling. Bale sizes 30″ x 40″ x variable length, with weights up to 1750 lbs. 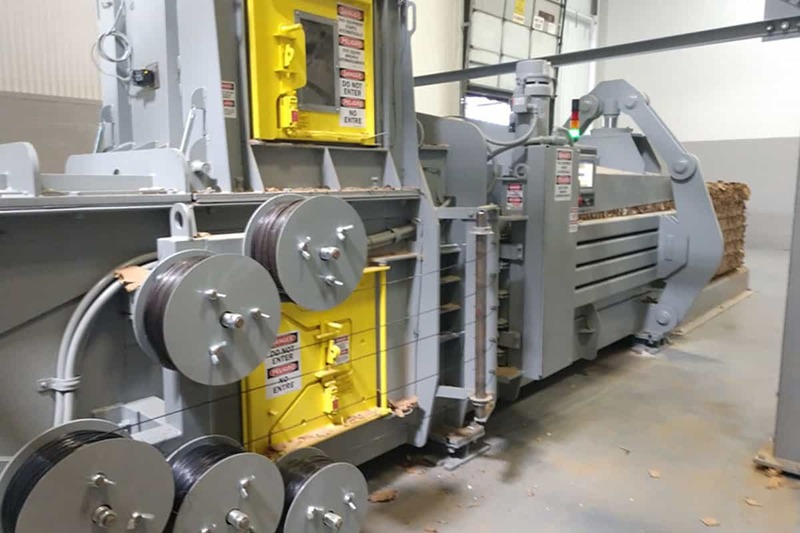 Advanced automatic 5-wire bale tier with electrically driven inserter and twister. Optional 1000# bulk wire feed system. Optional easy lifting electric hoist wire loading boom. replaceable double edge design made of hardened and ground tool steel. Interlocking baler chassis and ram is constructed of high strength plate steel, significantly increasing the strength of welded joints. with a spring loaded AR400 scraper. This provides unparalleled sealing and prevention of material migration behind the ram. Chassis service door for easy access ahead and behind main ram. Door is electronically interlocked and can be padlocked to provide secure access only by maintenance personnel. Maren’s exclusive key lock main cylinder mount removes main cylinder tension from bolts while allowing easy services and maximum cylinder mount durability. 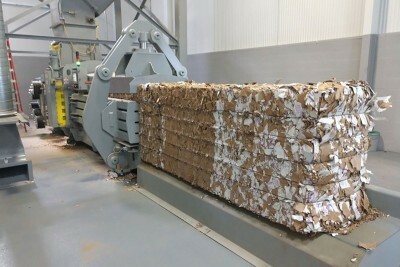 Displays the baler’s current status and indicates bale percentage complete with graphic progress bar. Allows selection of saved material settings controlling bale length, photo eye options, etc. Dual motor models when equipped, allow the operator to select either motor/pump A or B to operate, or allow automatic on demand activation of second motor. Displays and stores machine faults, E-stop status and allows service personnel to display a fault message history log. Optional conveyor controls allow operator to select upper or lower photo eye activation, run, jog, stop, conveyor auto stop delay and more. Password protection allows operators to access run time features while blocking service only adjustments for authorized maintenance.